Having live music is a favorite entertainment during Market. 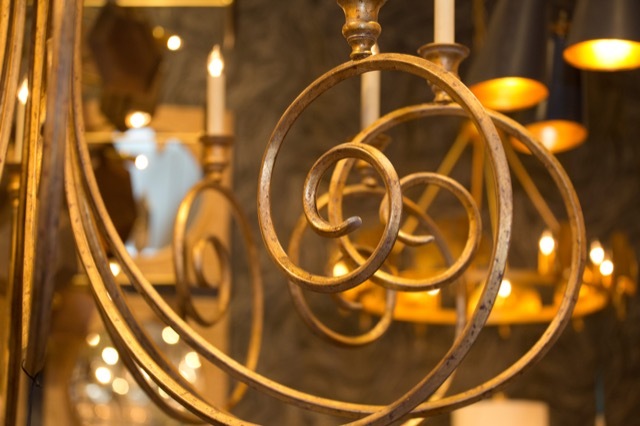 Our customers know that we at Currey & Company take design very seriously—from trailblazing with our faux bois techniques and our finishes to breaking new ground with the delicacy of our shell-encrusted furniture and our new LED bulb program. The ones who visit our High Point showroom during Market twice each year also know we are quite adept at throwing a great party! Well, we say, that’s entertainment! 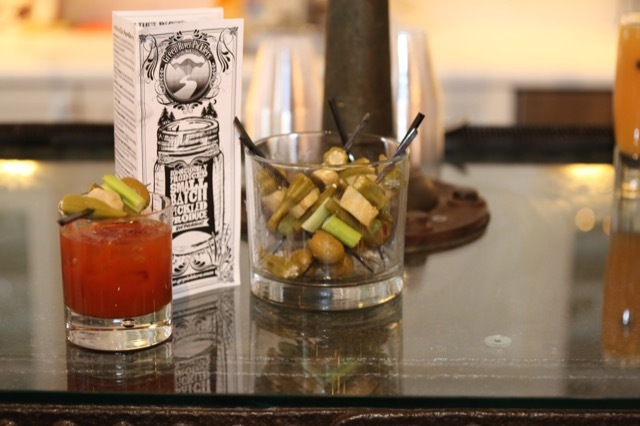 Our special libations are always themed to celebrate the event we are throwing. 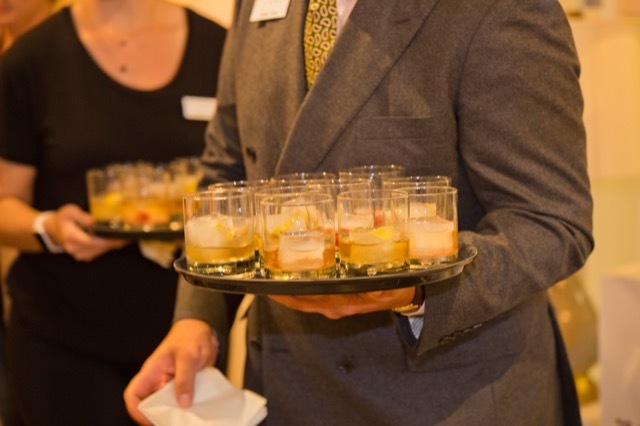 The secret sauce of our success (pun intended) includes a brilliant foodie team, live music, libations and smart programming. But a great deal of our sparkle comes from the glinting fixtures overhead, the luminosity of our lamps and the inviting furniture vignettes that serve as little microcosms of comfort to enhance conversation and rest the soles of feet that have been on the move for untold hours. 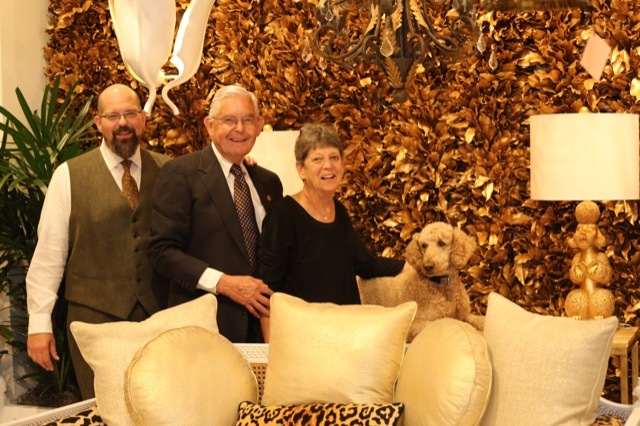 We also gather family around, and this Market Robert and Suzy’s standard poodle Rives had a bit more of a cameo than he normally does with the debut of the Ms. Poodle lamp in our new Phyllis Morris Collection. Here’s a bit of a recap if you were with us in High Point; if you weren’t, you’ll see from the visuals that it’s a must that you join us next time for all the fun! 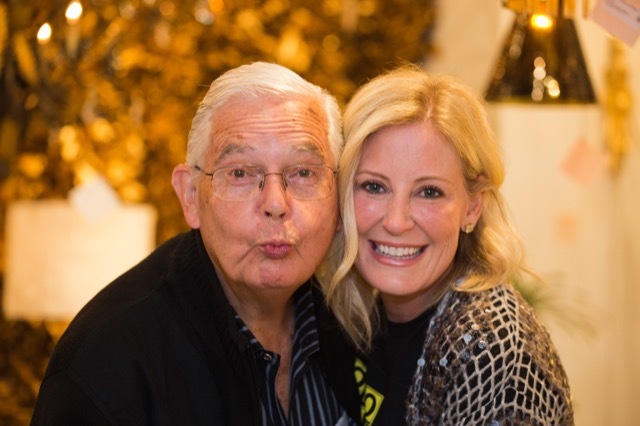 We celebrated the launch of our Jamie Beckwith Collection, the designer shown here hamming it up with Robert, who knows a thing or two about entertainment! Potterton Books returned with their treasure trove of titles with Simon on the ready to answer questions anyone should have. 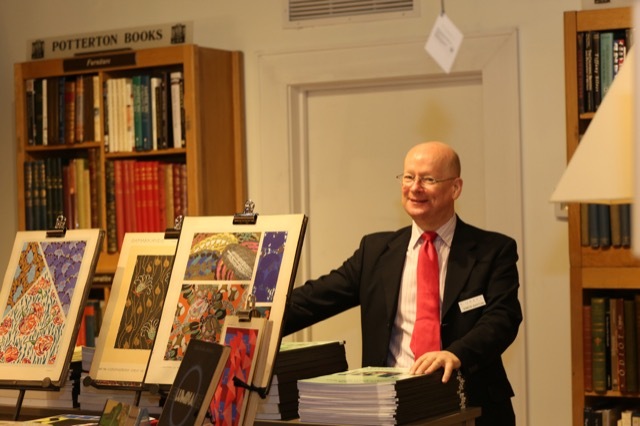 Monday was jam-packed with the launch of our Phyllis Morris Collection. Phyllis’ daughter Jamie Adler, who was on hand for the debut, snapped up the new book penned by the Madcap Cottage gents, Prints Charming. 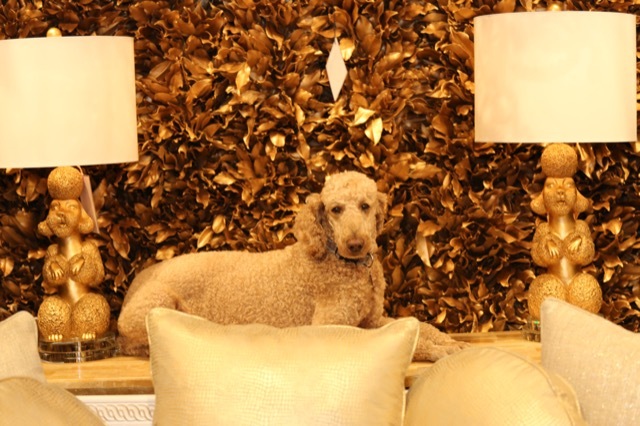 Our Mr. Poodle Rives gets his cameo with Ms. Poodle, one of the lamps in the Phyllis Morris Collection. His presence in the showroom each market is the epitome of entertainment for the dog lovers in attendance. A glamour shot of the new Eyelash chandelier in the Phyllis Morris Collection. Anna and Ryan made the celebrations look easy, though we know that’s far from the truth! A different musical theme each day brought a variety of influences to the showroom, from the Tango to a touch of the Irish. Now that’s what we call entertainment! 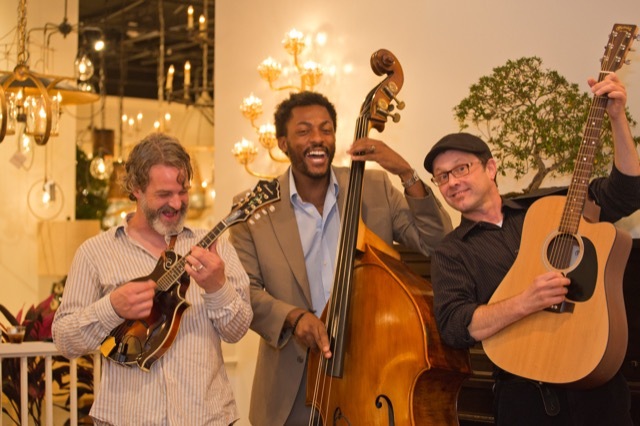 We’re heading to Southern Style Now next week, the design festival created by Robert Leleux one of our favorite events of the year. 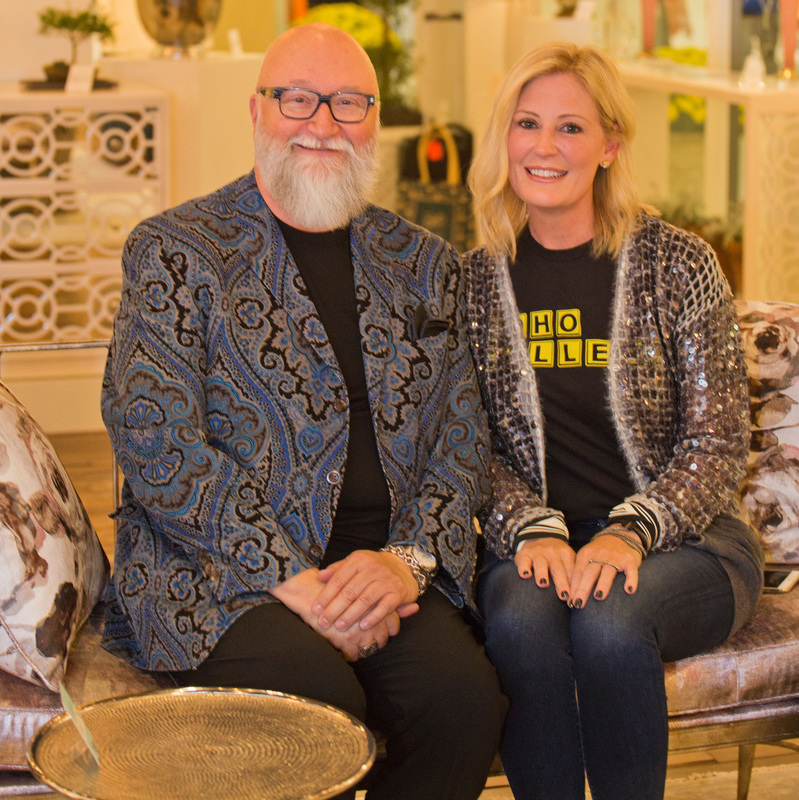 We’re thrilled to be participating in this celebration of design with our Cecil Adams participating in a panel discussion, and our sponsorship of the “VIP Lunch & Learn” with AmericasMart and of the Traditional Home Southern Style Now Showhouse. The opening gala takes place on November 9 and the Festival is underway from November 9 through 12. You can bet it will be southern hospitality at its best! 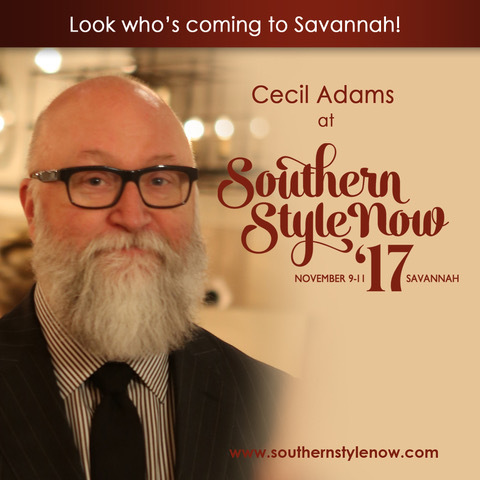 Cecil Adams, here with Jamie Beckwith in a killer jacket, will be on a panel at Southern Style Now. Looking a bit farther afield, we’ll be at the Las Vegas Winter Market from January 28 through February 1 (2018), in Building C, Suite 398; and the Dallas Winter Market opens on January 17 and closes on January 23. Come see us in the World Trade Center in Suite 1000. We’ll have lots of new products and some great entertainment in store! I’ll leave you today with a hint of razzmatazz from old Hollywood by way of a compilation its producers describe as more than a movie; it’s a celebration. 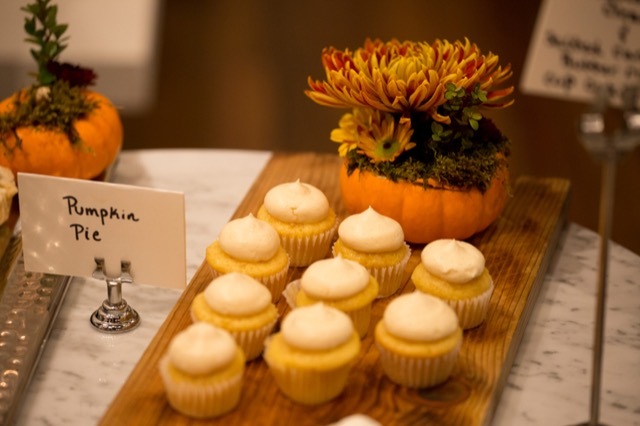 Similarly for us, our events and markets are more than new debuts; each is a celebration of excellence in design. If you watched the clip, you might have noticed how Judy Garland stands out as such a talent in the film. Her rendition of The Trolley Song, which was written by Hugh Martin and Ralph Blane, made the song famous in the 1944 film Meet Me in St. Louis. During a 1989 NPR interview, Blane said the song was inspired by a picture of a trolley-car in a turn-of-the-century newspaper. But in 1974, he reported that the picture was in a book he’d found at the Beverly Hills Public Library, which was captioned “‘Clang, Clang, Clang,’ Went the Trolley.” And the rest, as they say, is show business history! Blane and Martin were nominated for the Academy Award for Best Original Song for this classic in 1945 but they lost to Swinging on a Star from Going My Way. 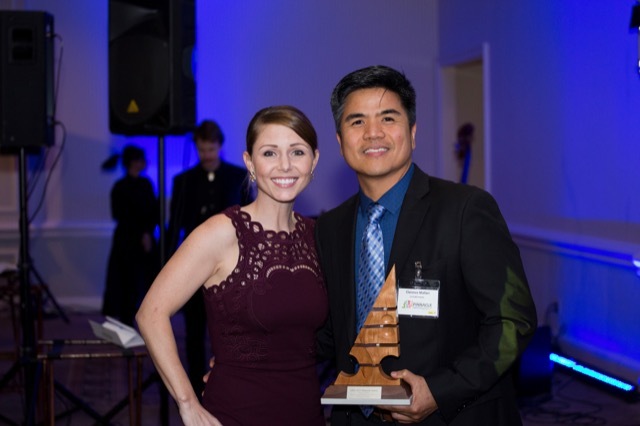 Well, you can’t win ‘em all, unless you’re Aimee Kurzner and Clarence Mallari of our design team, whose talents were celebrated with a Pinnacle Award for lighting design for the Huntsman Collection! 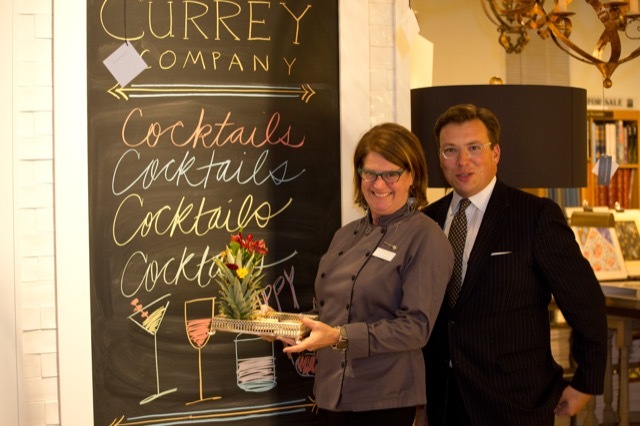 Aimee Kurzner and Clarence Mallari win a Pinnacle Award for the Currey & Company Huntsman Collection. Speaking of talent: except for the Southern Style Now visual, the remarkable photography in this post was taken by Beth Tilley Green. 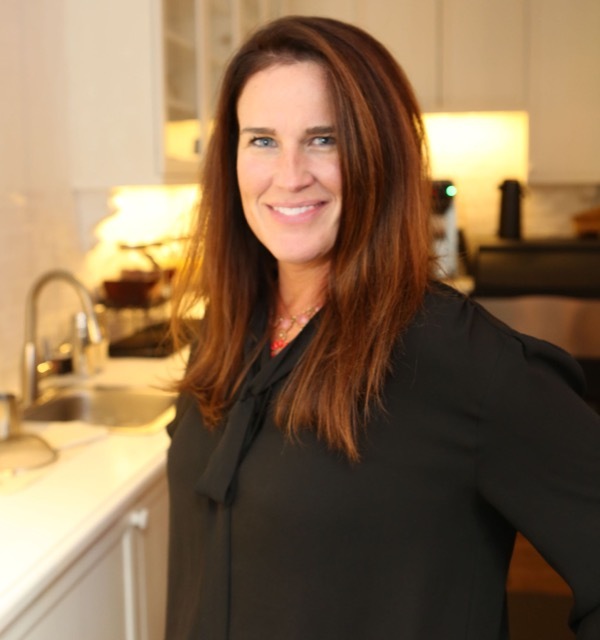 We look forward to seeing how she captures the fun each Market because it’s thanks to her roving eye that we can say what happens in High Point doesn’t stay in High Point! 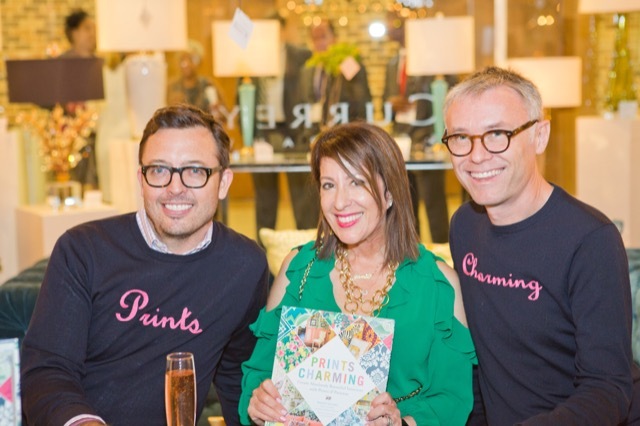 Beth Tilley Green captures all of the excitement during High Point Market. 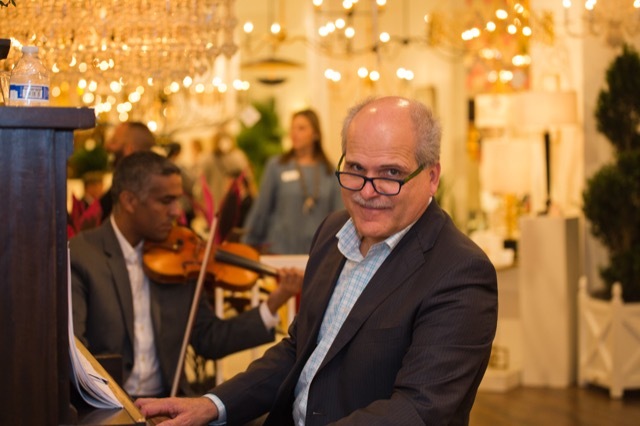 This entry was posted in Currey & Company, Entertaining, Market and tagged book signing, Chandeliers, design influencers, design trends, Events, Gold, Lighting, Silver, Table Lamp, tabletop on October 30, 2017 by Saxon Henry.